GoodReads Blurb: A Her job description is the “tracking and apprehension of mentally-fractured killers.” What this really means in FBI profiler Jace Valchek’s brave new world—one in which only one percent of the population is human—is that a woman’s work is never done. And real is getting stranger every day…. The Bloodhound Files is about a world where the supernatural races—vampires, werewolves and golems—are the dominant civilization. Human beings make up just one percent of the population and are considered a federally protected endangered species. The main character, Jace Valchek, is an FBI profiler from our world, specializing in deranged killers. She gets yanked into this parallel universe for her skills—the supernaturals are immune to mental diseases as well as physical ones, so they have no experience with craziness. We meet Jace in bed, nursing a hangover after yet another social faux pas – drinking tends to make her somewhat inhibited when it comes to sharing details about her work, most of which is not suitable for cocktail party small talk. She falls back asleep and has a weird dream that turns out to be no dream at all; she is being pulled into a parallell universe in order to assist the National Security Agency, NSA, profile and apprehend a serial killer. World building can be tricky – you don’t want to infodump your reader, but at the same time enough details must be provided to make the story believable. 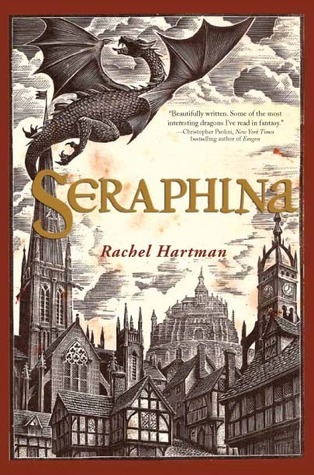 I prefer the kind of books where details about the surroundings – especially if they are new to the main character – are provided where it fits the story best. And I think it is done in that manner in Dying Bites. Jace’s reaction to the information about her whereabouts, the existense of (go)lems, (lycan)thropes and (vam)pires – the short versions used regularly in the book – feels natural, as does her curiosity and acceptance of things that are different compared to our/her real world. Jace is a tough cookie, after all she is one of FBI’s best profilers. And even though she is extremely unhappy about the situation she finds herself in, she is a professional and gets to work to solve the murder case/s – it is, after all, her only way to make sure she will be transported back again. She is chasing a human, perceived to be psychotic. The thrope and two pires who are the victims by the time Jace is forced to take on the case, have been killed in extremely gruesome manners, meant to send a message both to the dominant species and to the remaining human population. A monster is a monster, but Jace cannot help contemplating the crimes that humanity have be subject to – especially during this world’s version of world war II. I won’t go in to details here, but as the story progresses, Jace finds out more and more, information kept from her by her new boss Cassius. …a broad-shouldered figure a little over six feet tall, wearing a very sharp pin-striped suit of dark blue, matching fedora, and polished black leather oxfords. His skin is darker than his shoes, and just as glossy; his features seem sculpted out of black chrome. His tie appears to be alligator skin.. He stops in front of our table and looks at me. At least, I think that’s what he’s doing; he doesn’t seem to have actual irises or pupils, just eye-shaped indentations. It’s like looking at a mask, one with strong, angular features: square chin, heavy brow, Roman nose with a pronounced hump to it. Jace also works closely with Damon Eisfanger, a lab thrope, and Gretchen Petra, a pire who works with intel. All the characters introduced feel three dimensional. Their individual traits and quirks become apparent as Jace gets to know them better and they grow on her (and the reader). I’ve got the drop on Isamu, but of course that doesn’t mean anything to a target who isn’t afraid of guns. He leaps straight at me, probably intending to rip my arms off and beat me to death with them, and I shoot him many times. Many, many times. He refuses to explode in a disgusting display of gore and instead is merely propelled backward to his starting point. This produces a look of intense irritation on his face, which just doesn’t work for me. I was hoping for something a little more satisfying—fear, horror, maybe the dawning realization that he is well and truly hooped. Oh, well. You take what you can get. 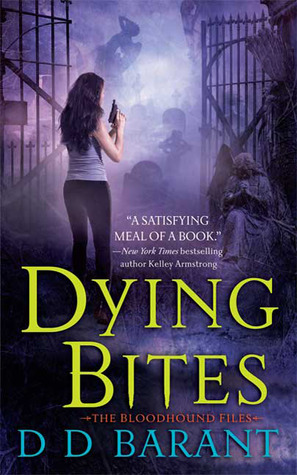 If you like Ilona Andrews’s books about Kate Daniels, there is a very good chance you’ll enjoy Dying Bites. I am already reading book #2 in this series!